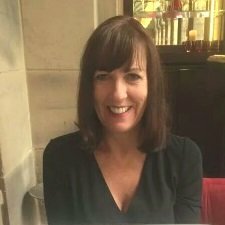 Hello, my name is Jennie and I am an experienced and highly qualified Therapeutic Counsellor practising person-centred therapy based in Manchester. Sometimes life can seem full of anxieties, problems and stress. You may feel low, lacking in self-esteem, depressed and unsure why you are feeling these emotions. At times like these it can feel that life is becoming unsatisfying, overwhelming or even debilitating. I understand the pressures of life, I can empathise with those feelings and I have the training, skills and disposition to work with you towards a brighter and easier future. I recognise that the first step to making changes can sometimes be the hardest. Change can feel frightening and daunting; sometimes finding the time to change can seem yet another problem rather than the solution. If you are reading my profile and considering counselling you have taken that difficult first step to feeling more fulfilled, content and happy and I would like to help you continue on your journey. You may be wondering what to expect from counselling and how it is different to talking with friends, family and colleagues. As a person-centred counsellor, I offer an unbiased, non-judgemental and confidential safe space in which you can talk freely. I will listen and work with you to explore and identify the issues that you wish to discuss. I will never give advice or tell you what to do; the ability to change will come from within you and from our working together with trust, mutual respect and honesty. At our first counselling session you will have the opportunity to discuss the issues that have led you to seek counselling. Often knowing where to start can feel overwhelming however you will have the space and time to be able to talk freely about what is concerning you. At the end of our session we can decide together if I am the right person to support you.